Note: Guest post today by Stephen Cowan. Stephen was kind enough to share his photos and knowledge about the beginnings of our house construction. Enjoy! The spot on which we are building our new house was formally the site of an older mobile home, which was recently demolished (bit of advice: if you are demolishing a home, make sure you remove the windows before doing the demolition, otherwise you will be pulling broken glass out of the ground for years to come). 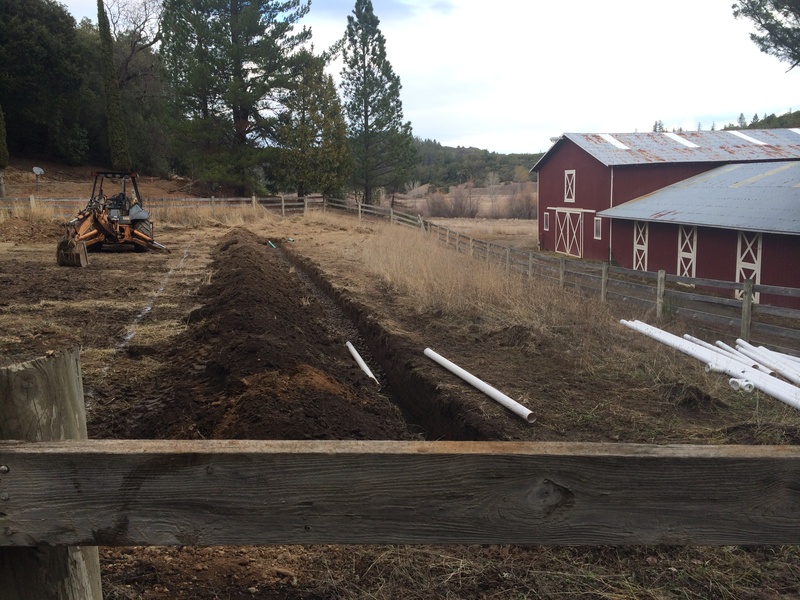 The old septic system was inundated with roots, so repairs were done and a new leach field is being installed in this picture. The leach field will handle all of the wastewater from our home. 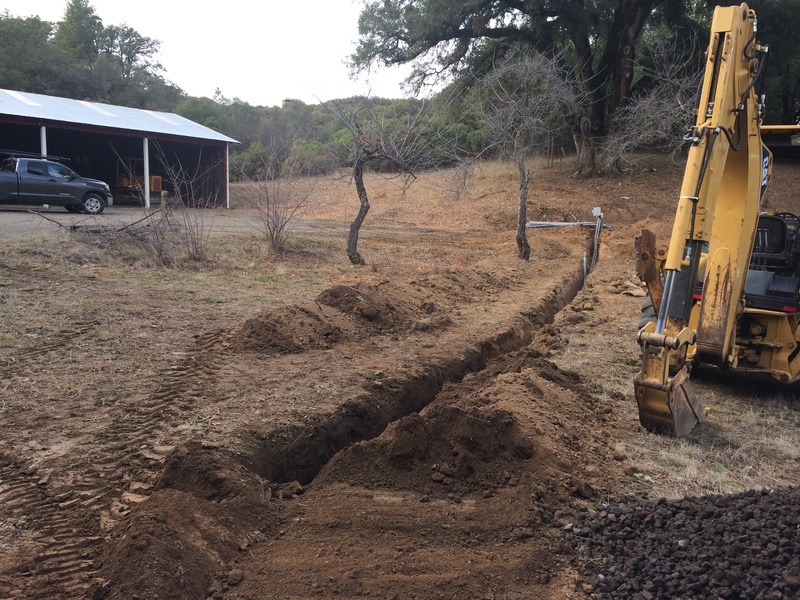 This trench was dug to reroute some of the electrical lines that were running thru the corral, which now contains our new leach field. The old electrical lines were accidentally cut while digging, which led to the well pump we share with our neighbor being shut down. Whoops! Almost ready to pour the foundation. Here are the form boards that will contain the concrete slab. Our contractor is meticulous about getting a perfectly level and square slab, so a lot of time was spent measuring and adjusting to get it just right. 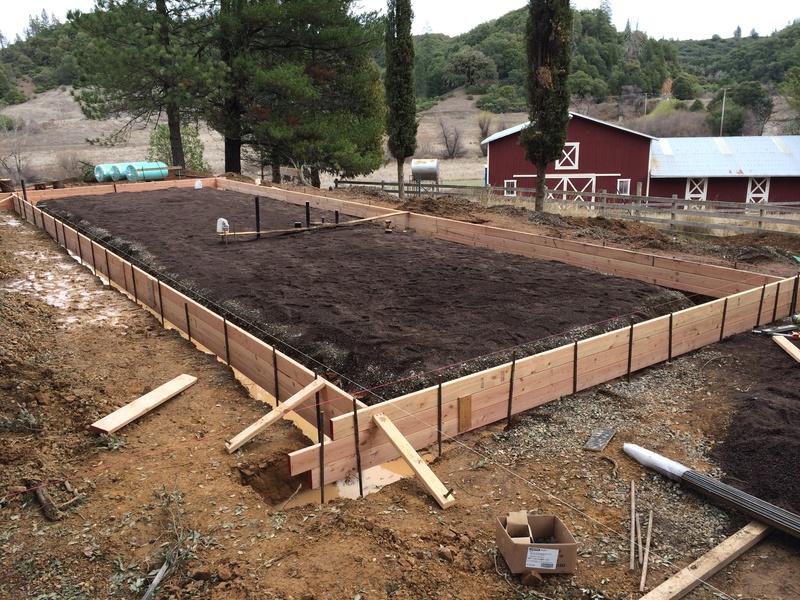 This house will be just under 1000 square feet, with 2 bedrooms and 1 bath. The footprint looks really small now, and with 2 little kids, it will probably seem even smaller once it is built. Luckily, there are a couple of hundred acres outside to hide in.